I will have to admit that I sometimes watch YouTube – I love watching vloggers and other YouTube personalities do their thing. One of the most interesting channels I have discovered in recent months is a traveling vlog known as “Knorpp and South”, which features a young married couple and their nine (yes, nine) kids, all of whom live in a RV and travel all over the United States. One of the many questions I had about living and traveling full-time in an RV – and I’m sure I’m not alone – was “How in the world can you afford to do this?” Interestingly enough, the couple claimed that they were able to travel full-time due to their successful doTERRA essential oils business. This immediately caught my attention and prompted me to seek more information about doTERRA to see if everything was legit. After much investigation and research, I am pleased to present to you my findings regarding the DoTERRA essential oils company. DoTERRA was founded in 2008, and is currently headquartered in Pleasant Grove, Utah. The name of the company is derived from a Latin phrase that means “Gift of the Earth”, which is an obvious allusion to their product line – essential oils. For those who may not know, essential oils are basically oils that have been directly derived from various plants using an extraction process that ensures the highest quality and purity possible. As you can probably imagine, these oils are very potent, which is why many people recommend using them in extremely small amounts, or only in conjunction with some type of diluting agent such as a carrier oil. While doTERRA does sell pure essential oils outright (e.g. eucalyptus, bergamot, cardamom, frankincense, etc. ), they also offer a line of natural wellness products that feature various essential oils as ingredients. There are dozens of companies that offer essential oil products, but doTERRA has successfully set itself apart from the crowd by offering what is known as Certified Pure Therapeutic Grade (CPTG) essential oils, which means that they have passed through a rigorous quality control protocol before being brought to the market. With a 383,000-square-foot facility and over 1,300 employees, it’s safe to say that doTERRA is no “mom and pop” operation, and a large part of the company’s growth can be attributed to the fact that their products are sold via a Multi-Level Marketing (MLM) structure, which I will discuss in more detail below. As is the case with many companies that offer somewhat non-mainstream health and wellness products, doTERRA is an MLM company, which means that its products are sold through independent representatives instead of being housed on supermarket shelves. 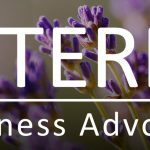 This keeps the business on a more “person-to-person” level, and it gives individuals an opportunity to own their own business in which they sell doTERRA products to customers, along with enrolling other people into their own doTERRA business for the purpose of building a distributor organization. So how exactly does all this work? Well, without boring you with too much mind-numbing number-crunching, the bottom line is that if you enroll as a doTERRA distributor, you will earn a commission from any retail sales you make off the products, and you will also earn percentage-based bonuses based on the sales volume of other people whom you enroll as doTERRA distributors. You’ve probably seen these types of business structures before, where you can build a hefty organization (typically known as a “downline”), from which you earn a small percentage off of a whole lot of people’s efforts. While there are some people who enroll as distributors (a.k.a. “Wellness Advocates” at the entry level) just to buy the products at a discount, there are others who treat it as a full-fledged direct sales business in which they build massive organizations and rake in quite a bit of cash. While I do not claim to have any proof of anyone’s earnings in the upper echelons of doTERRA, I do know that the couple on the “Knorpp and South” YouTube channel claims to earn a full-time income from them. But of course, as you well know, the idea of what constitutes a “full-time income” can vary greatly from person to person. At any rate, I thought it was an interesting tidbit to mention about the company. doTERRA has earned a very respectable reputation in terms of its commitment to the quality and purity of their essential oils. The two most common methods used by doTERRA to extract essential oils from plants are steam distillation and cold pressing. During the steam distillation process, steam is passed through the plant material (it can be any type of plant) along with gentle pressure, and this causes the microscopic sacs within the plant to release their oils. All of this is done at temperatures of anywhere between 140 to 212 degrees Fahrenheit, depending upon the type of plant being processed. On the other hand, the cold pressing process involves applying mechanical pressure (without heat) in order to express the oils out of the plant. This process is highly adjustable, with certain factors such as time, pressure, temperature, and harvesting practices being “tweaked” or customized as needed in order to bring out the maximum amount of aromatic compounds from the plant. If you’re wondering where all of the plants come from that make these essential oils, doTERRA operates in partnership with experienced growers all around the world to source their plant material. doTERRA claims to have the purest essential oils on the market, but to be fair, there are several other companies that say the same thing as well. At first glance, you might think that paying anywhere between $18 to $93 for such a small amount of physical oil (5 milliliters!) is a bit much, but keep in mind that these oils are the product of several pounds of plant material. It’s like having large amount of plant material concentrated into a small droplet form, which is why essential oils are so potent. You will pay a different amount for each 5ml or 10ml or 15ml bottle based on the type of plant that the oil comes from, but this is totally understandable, because it might be much more difficult to grow and harvest one type of plant versus another, and some plants can only be grown in certain parts of the world (which means high shipping costs for source material), etc. As I mentioned earlier, you can realize a 25% discount just by signing up as a distributor, and for some people, this financial incentive alone is enough to prompt them to enroll as a Wellness Advocate. 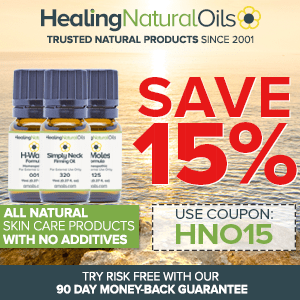 Pure Essential Oils – I pretty much covered this in the previous section, but suffice it to say that if you’re looking for practically any type of essential oil, you won’t have trouble finding it in their expansive essential oil product line. Their essential oils come in sizes starting from 5ml bottles. Personal Care Products – These essential oil-infused products are comprised of natural ingredients, making them pretty safe to use for the whole family. Whether you want to try hair care products such as the doTERRA Salon Essentials Protecting Shampoo, soaps such as the Citrus Bliss Invigorating Bath Bar or the doTERRA Natural Deodorant, you have a good amount of personal care products to choose from, all of which contain essential oils as a prominent ingredient. Supplements – What would a health and wellness company be without some nutritional supplements? doTERRA offers several different multivitamin/multimineral and whole plant nutritional supplements to promote better health. Some of the star players in this area of their product line include the Daily Vitality Dietary Supplement, Terra Greens Daily Fruits and Vegetables Supplement, and the DigestZen Digestive Blend Softgels. Weight Management – These are the “Slim-Fast”-type of products that help people maintain a healthy weight. Some of the most popular choices in this category include the Slim & Sassy Metabolic Blend Softgels, the Slim & Sassy TrimShake nutrition drink, and the Slim & Sassy New You Kit, which is a combination of several doTERRA nutritional supplements and weight management products. Accessories – Many people love to use essential oil diffusers, which are basically small devices that convert pure essential oils into a fine mist that can permeate the indoor air. According to essential oil enthusiasts, breathing in these wonderful aromas can create a sense of calm and relaxation, and can relieve stress and boost your mood. doTERRA offers quite a few stylish diffusers (such as the Lotus Diffuser and Petal Diffuser) that do a bang-up job of diffusing essential oils throughout an indoor space. doTERRA has a clean, attractive website with simply-laid-out menu options that make it easy to find what you’re looking for. They offer several different sections that include not only the history of the company (along with major achievement milestones in the company’s history), but also a very easy-to-navigate product section. In addition, its website provides detailed information regarding their many corporate responsibility and charitable initiatives that they have spearheaded around the world. Their “Contact Us” page is not very conspicuous, seeing as how it’s missing from the top navigation menu, but it can be found in the footer of their website. The good news is that they do offer both phone and email as an option for people who want to reach out to the company. Their website also features a “Find a Wellness Advocate” that allows you to search for doTERRA distributors in your local area, presumably to get your questions answered by a live person should you want more information. The FDA sent a letter to doTERRA on September 22nd 2014 stating that their products are being marketed as unapproved drugs. doTERRA had been requested to eliminate the exaggerated health benefit claims they were making about what essential oils could cure and take action on correcting those claims, or face a tough legal battle. Click here to access the details. Please note that the above is not my opinion, I am simply stating the relevant facts, but it’s definitely something to take into consideration when choosing a company to work with or represent. Wrapping everything up, I can say that doTERRA appears to be a legitimate company that offers high-quality essential oil products, as well as a MLM opportunity for those who wish to create a business from the usage and sale of their products. According to the fact sheet on their website, they appear to be in a phase of major growth and momentum, so if you ask me, it looks as if they’re doing something right. As with any other health product (or business opportunity for that matter), be sure to do your homework so that you can make an informed buying decision.